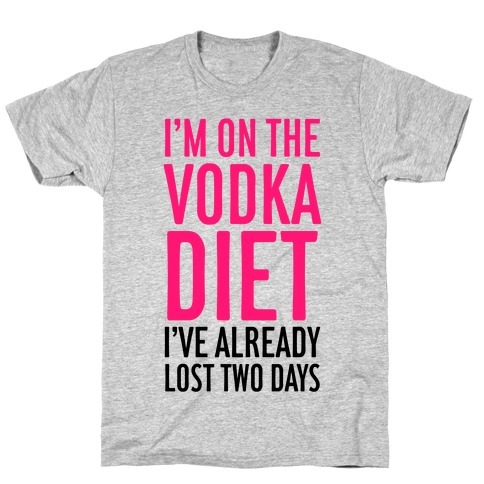 Browse our collection of 17 Vodka T-Shirts, Racerback Tank Tops and more. Designed and printed in the USA. 100% Satisfaction Guaranteed. About this Design The only lifting team I'm on is the shot lifting team! As In I lift shots of vodka to my face and get lit! 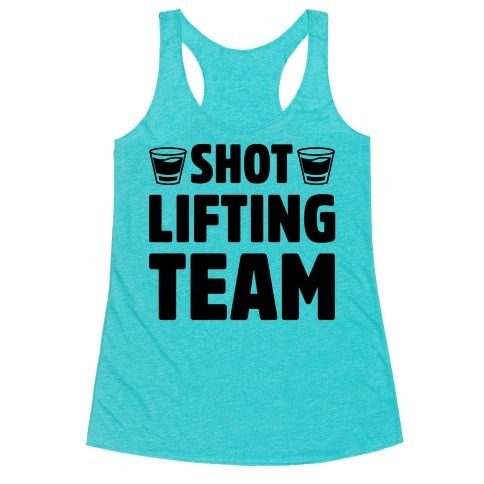 Party on with your shot lifting team in this drinking shirt! The only lifting team I'm on is the shot lifting team! As In I lift shots of vodka to my face and get lit! 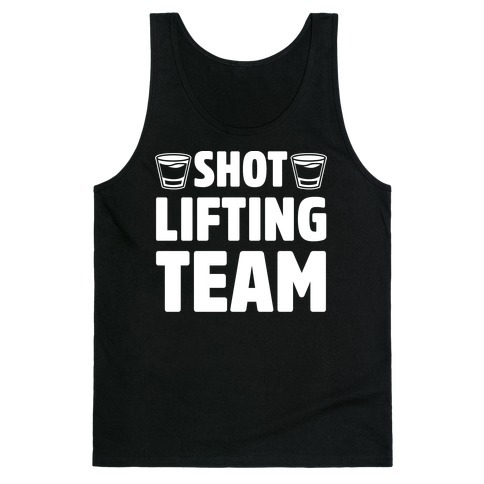 Party on with your shot lifting team in this drinking shirt! 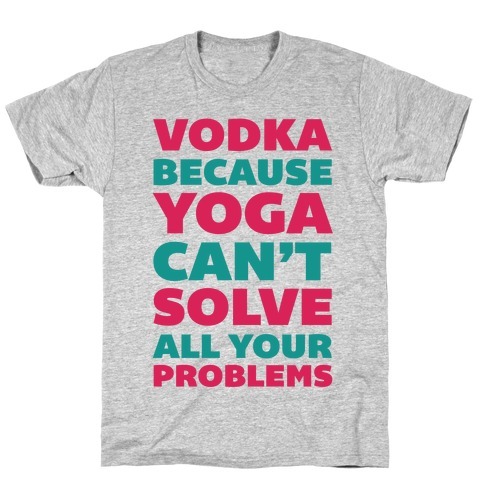 About this Design This yoga shirt is perfect for those that love drinking vodka, vodka because yoga can't solve all your problems. 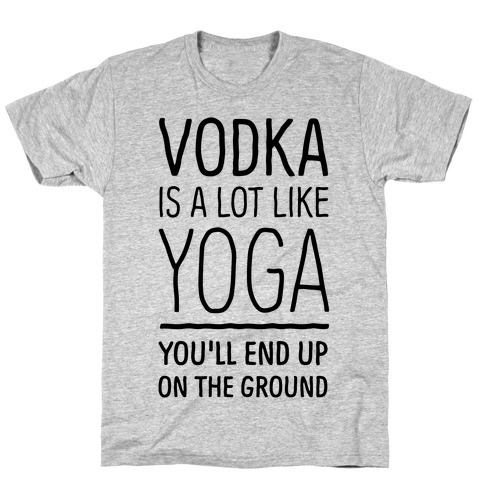 This party shirt is great for fans of yoga , vodka and drinking shirts. 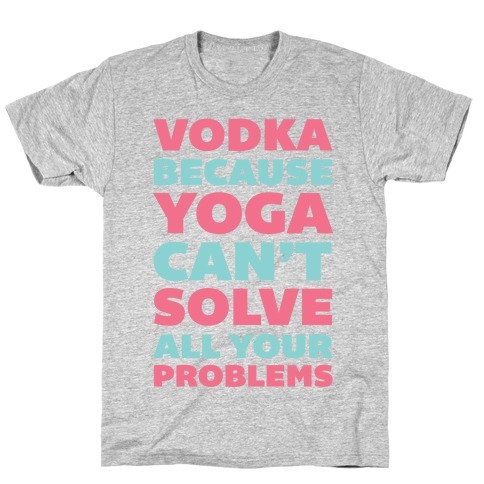 This yoga shirt is perfect for those that love drinking vodka, vodka because yoga can't solve all your problems. 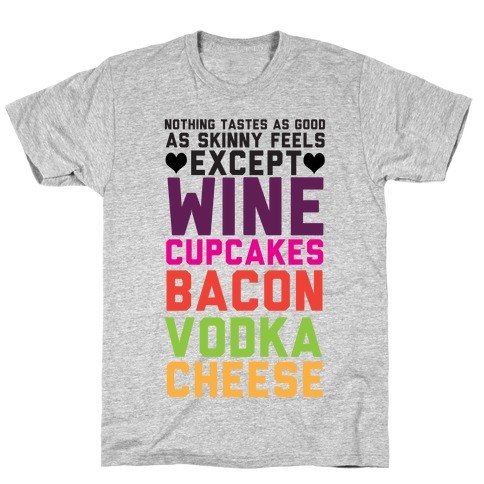 This party shirt is great for fans of yoga , vodka and drinking shirts. About this Design When it comes to getting into shape not only is exercise important, but so is watching what you eat. While you may be counting those calories when it comes to shots, forget it. Who needs to keep track of shots? Keep them coming through out the night and party on. When it comes to getting into shape not only is exercise important, but so is watching what you eat. While you may be counting those calories when it comes to shots, forget it. Who needs to keep track of shots? Keep them coming through out the night and party on. 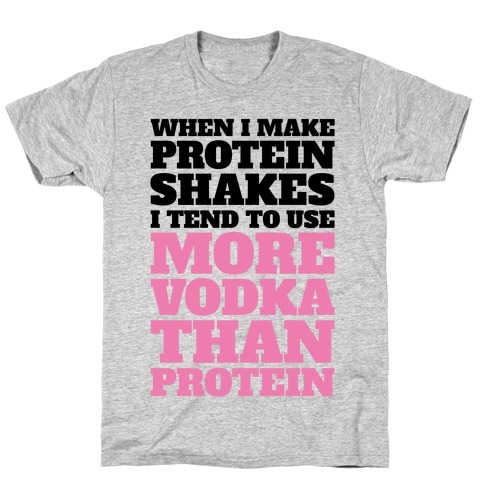 About this Design When I make protein shakes I tend to use more vodka than protein and I usually just end up drunk at the gym. Forget about lifting weights, and exercise, why not spike your shakes and party instead! 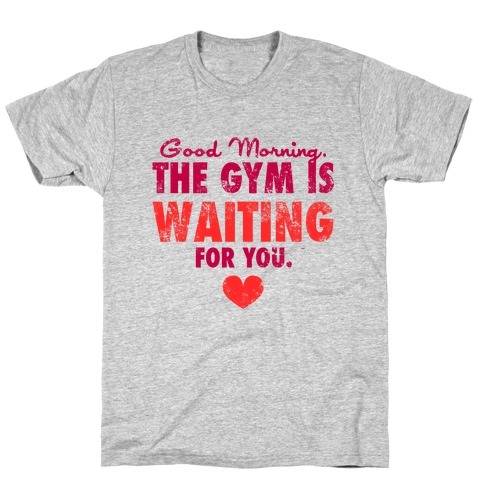 Have fun with this athletic design and party hard at the gym or bar! When I make protein shakes I tend to use more vodka than protein and I usually just end up drunk at the gym. Forget about lifting weights, and exercise, why not spike your shakes and party instead! Have fun with this athletic design and party hard at the gym or bar! About this Design You'll end up on the ground in some sort of tangled mess. You're not a drunk you're a yogi! You'll end up on the ground in some sort of tangled mess. You're not a drunk you're a yogi! About this Design You gotta workout to work off last night's party. Don't be ashamed, at least you're honest about what you love. 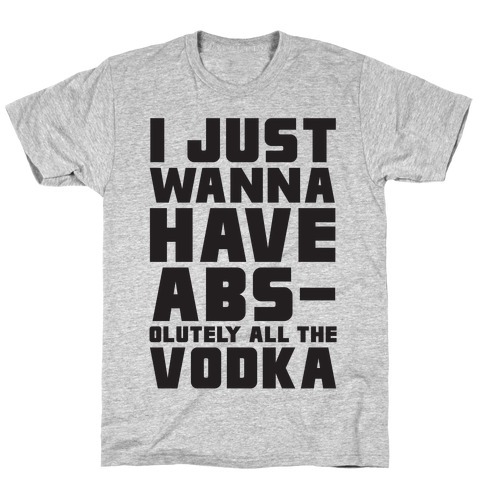 Show off your love for fitness and partying in this I Sweat Vodka design! You gotta workout to work off last night's party. Don't be ashamed, at least you're honest about what you love. 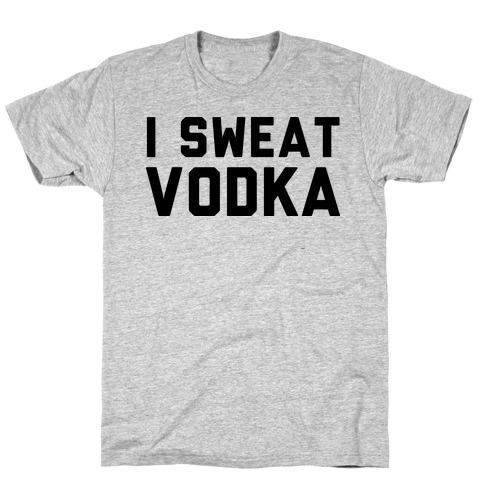 Show off your love for fitness and partying in this I Sweat Vodka design! 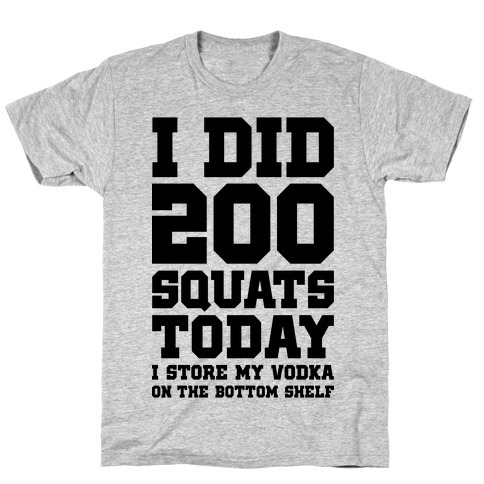 About this Design This shirt features the phrase "I did 200 squats today - I store my vodka on the bottom shelf" and is perfect for people who love to get fit, do squats, get drunk, do shots, eat junk food, hit the gym, work out, lift weights, and work on their diet and fitness! 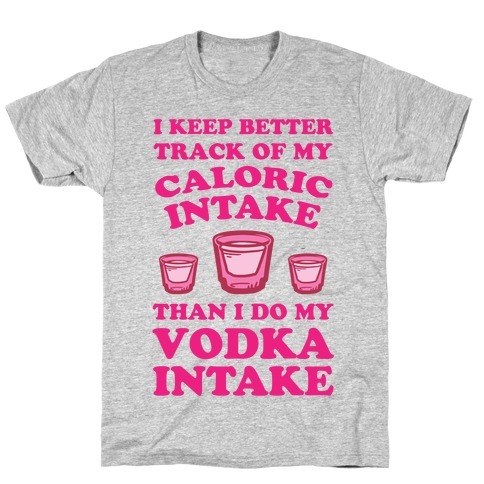 This shirt features the phrase "I did 200 squats today - I store my vodka on the bottom shelf" and is perfect for people who love to get fit, do squats, get drunk, do shots, eat junk food, hit the gym, work out, lift weights, and work on their diet and fitness! About this Design this design is for those who love to drink and party and love vodka but don't want to be at the gym to workout all the time. 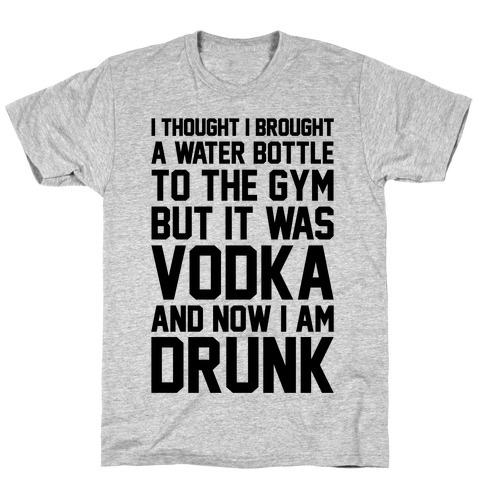 this design is for those who love to drink and party and love vodka but don't want to be at the gym to workout all the time. About this Design I thought I brought a water bottle here with me to the gym, but it was vodka and now I'm drunk. Go to the gym and party with some vodka and weight lifting! I thought I brought a water bottle here with me to the gym, but it was vodka and now I'm drunk. Go to the gym and party with some vodka and weight lifting! About this Design Instead of taking drugs, be healthy and workout your stress at the gym! 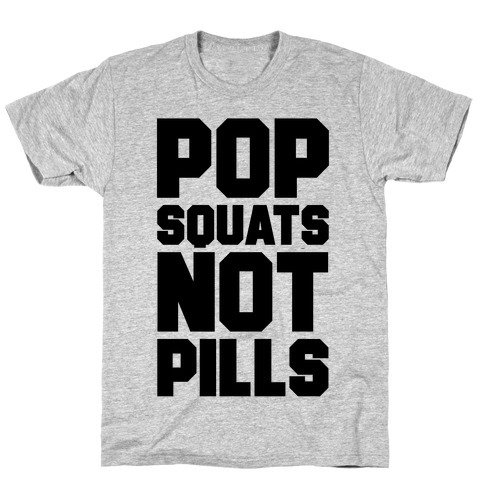 Pop squats at the bar and build some strong muscles! Instead of taking drugs, be healthy and workout your stress at the gym! Pop squats at the bar and build some strong muscles! About this Design Exercise, fitness, dieting? WHATEVER. I want all the junk food: pizza, cupcakes, oreos, cheese, vodka, tacos, donuts. Forget fistpo, I want delicious tasty food in my belly. Nothing tastes as good as skinny feels except for all these delicious things. Exercise, fitness, dieting? WHATEVER. I want all the junk food: pizza, cupcakes, oreos, cheese, vodka, tacos, donuts. Forget fistpo, I want delicious tasty food in my belly. Nothing tastes as good as skinny feels except for all these delicious things. About this Design Get into the gym and train dirty but also maintain clean and healthy eating habits. You can't have one without the other. You need this shirt. Get into the gym and train dirty but also maintain clean and healthy eating habits. You can't have one without the other. You need this shirt.